Don't Waste Various Benefits of Green Beans - There are various advantages and benefits of green beans, starting from the price that is relatively cheap to process into a variety of delicious foods and drinks. Also, green beans can also be an option to enhance and improve body health. Green beans are included in the type of nuts which are an excellent source of protein, low in fat, and contain lots of fibre and antioxidants. Mung beans also contain calcium, iron, zinc, potassium, phosphorus, vitamin A, B vitamins, folate, vitamin C, vitamin E, and vitamin K. Manganese, selenium, magnesium and carbohydrates are other nutrients in green beans. Which of course will provide many benefits for the body. The following are various benefits of green beans, which are a pity to miss. Folate contained in green beans is quite high. Therefore, green beans are considered suitable for women planning a pregnancy or during pregnancy. Adequate administration of folic acid during pregnancy can protect for babies to avoid premature birth, miscarriage, birth with low body weight, and birth with neurological and brain disorders (neural tube defect). Mung beans contain dietary fibre and starch which is suitable for facilitating absorption, also helps nourish good bacteria in the digestive tract. Further research shows that green beans are also beneficial in helping to lower blood pressure, reduce the risk of heart disease, and diabetes. Is thought to be related to the content of antioxidants and essential nutrients in them which have anti-inflammatory properties. One of the benefits of green beans is that it can help control appetite so it can help manage weight. All of this achieved because the fibre and protein content of green beans makes you full faster and longer, so eating patterns become regular and reduce excess weight. Don't Waste Various Benefits of Green Beans - The other benefits of green beans have a low-fat content. 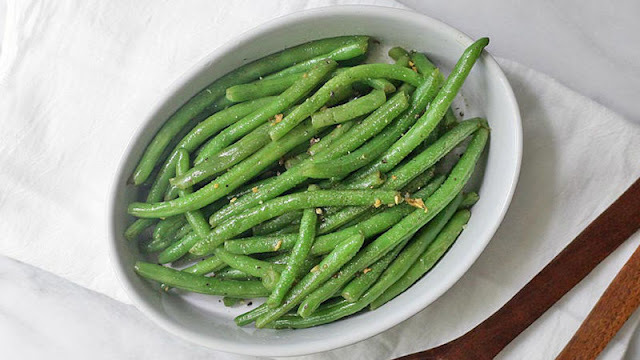 In 100 grams of green beans, there are at least 347 energy calories and 1.15 grams of fat. With a relatively low content, and high phytosterol fibre and antioxidants, regular consumption of mung beans can help people with high cholesterol to naturally reduce cholesterol levels in the body. Who says we don't need carbohydrates? Although often avoided by those who are losing weight, it turns out carbohydrates are essential for the function and health of the body. Green beans are one of the sound sources of carbs because they are complex types of sugars that are better for health. Mung beans are members of the legume family in a large family of seeds, which contain magnesium in small amounts. In 100 grams of green beans, there are at least 189 milligrams of magnesium needed by the body to prevent magnesium deficiency. By consuming enough magnesium, you can reduce your risk of osteoporosis. According to research, increasing magnesium intake from food or supplements can increase postmenopausal bone mineral density in women and the elderly. Also, magnesium is even thought to reduce the risk of type 2 diabetes, cardiovascular disease, hypertension, and migraines. Cheap, easy to find, and can be processed into a variety of foods and drinks. The benefits of various green beans come from the essential nutrients in them. Therefore, start putting green beans in your daily diet. But remember, limit the addition of sugar to it.